The award-winning IP Office 500 is designed to meet the requirements of home offices, standalone businesses, and networked branch and head offices for small and medium enterprises. This powerhouse system is designed to grow with your business at your own pace and budget, with the ability to support up to 384 users. Start with what you need and expand easily and cost effectively. IP Office can connect up to 32 separate site locations, allowing them to communicate as one, reducing upfront investment and driving long-term productivity. 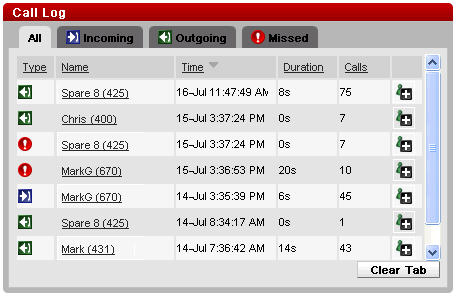 Avaya IP Office 500 includes built-in management utilities for system administration, capturing call reports, monitoring system resource utilization, and managing data. Avaya IP Office Essential Edition provides small businesses the communications tools needed to operate effectively and efficiently. These include the essentials needed to enhance communications with customers and to streamline operations, such as one number access, caller ID, dial-by-name, automated attendants, conferencing, and voicemail. 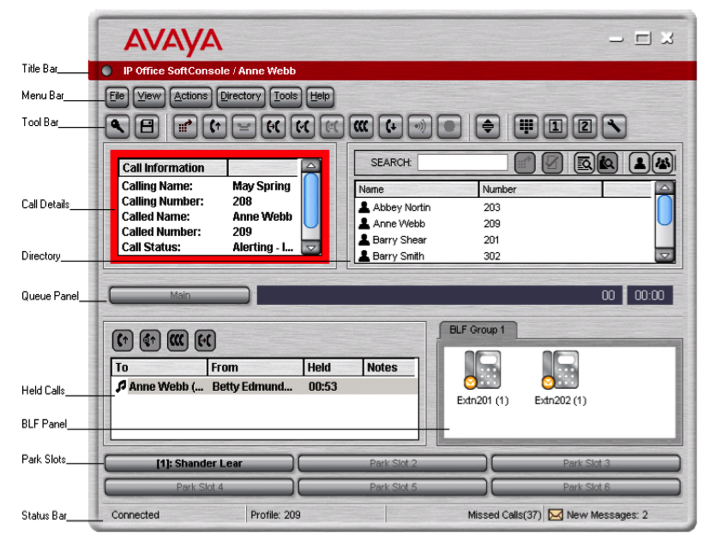 Avaya IP Office Advanced Edition vastly improves customer service via enhanced phone interactions with customers, clients, suppliers, and vendors. Valuable data from customer calls helps improve the interaction experience to deliver greater revenue and create loyal customers. This information is provided through the intuitive easy-to-use interfaces and tools of the Customer Service Agent and Supervisor applications. The result extends hours of operation, balances employee workload, and measures worker productivity. Equally importantly, Avaya IP Office Advanced Edition empowers your customers to do business with you as they prefer, with 24/7 access to information and services using customized automated self-help capabilities. This frees your employees to dedicate time to customers requiring additional help. Both forms of interaction result in increased customer satisfaction. Avaya IP Office Preferred Edition enables your business to use communications to establish a competitive edge. For investment protection, the system is expandable as your business grows, easily adapting to changing business needs. Employees can handle dozens of calls simultaneously from a personal computer, preventing customers from waiting on indefinite hold. It is the right choice for any business that wants to use communications to operate more efficiently and effectively. IP Office Server Edition is the ideal solution for midsize businesses, delivering intelligent unified communications, scalable growth, and seamless management. It enables businesses to quickly and easily add users to an existing office or connect a remote office. Server Edition delivers true centralized management and licensing for all users across all locations in one intuitive graphical user interface. At the real or virtual front door to your business, receptionists continually greet and interact with customers and associates. 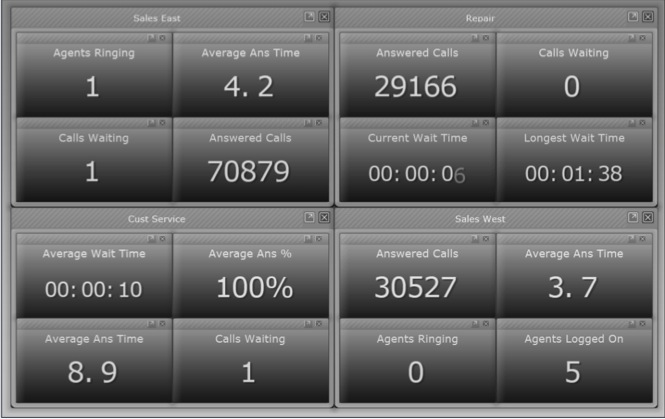 It’s easy to see how important it is to have a phone application that allows efficient and professional call handling. The IP Office Receptionist solution enables receptionists to provide callers with a satisfying initial experience. This powerful computer application enables a single operator to manage calls for multiple locations to not only provide prompt and professional handling of calls, but also to provide consistent service while controlling costs. This solution improves service by simplifying call handling actions through an intuitive interface. Just click and drag to transfer calls, put calls on hold, or conference in a colleague. Whether your business already has multiple locations, or you’re planning to expand locally or globally in the future, the IP Office Multi-Site Option has what you need to keep communications running seamlessly. IP Office can allow up to 32 sites to communicate as one, accommodating up to 1,000 users. Reduce costs by sharing resources among multiple sites – use a single voice mail system, a single receptionist to answer calls, and a single system management interface. If one location experiences a disruption, it automatically fails over to another location, reducing the risk of communication outage. IP Office locations networked together enable employees to stay connected and collaborate, regardless of their locations. Beyond the basic desk-to-desk dialing capability, employees at one location can see availability and presence information via their phones or computer screens. They can also quickly and easily exchange information via chat to help speed decision-making. The IP Office Power User application is the ultimate in communications accessibility for small businesses. It enables executives and managers to be as productive as possible in virtually any circumstance. Armed with a laptop and any phone, Power User software (in conjunction with IP Office Preferred Edition, Advanced Edition, and Server Edition) unifies communications to help employees work at the highest levels of efficiency, regardless of their location. For employees who work primarily away from a desk, Avaya IP Office Mobile Worker Preferred (available with IP Office Preferred Edition and Advanced Edition) keeps them readily accessible. Wherever they’re working—with clients, traveling between stores, down the hall, in the warehouse, or on the road —Mobile Worker Preferred turns any iPhone or Android mobile device into an office phone extension, with many of the same call handling features. Employees no longer need to disclose their personal cell phone numbers due to being out of the office; instead, their office number is the only one they need to distribute. Calls ring simultaneously to the desk phone and to the mobile device, making it easy for customers, colleagues and vendors to reach employees wherever they are. — The application allows calls to ring simultaneously at both a desk phone and any other designated phone (mobile, remote office, home). Associates who are always working in the office require a unique set of communications tools to be as productive as possible at all times. Available with IP Office Preferred Edition, Advanced Edition, and Server Edition, the web browser-based Office Worker solution for IP Office is a single intuitive PC interface that puts powerful communications tools at your employees’ fingertips. Office Worker helps employees work faster and smarter, which can translate into greater efficiency and better customer interactions. The IP Office Teleworker application provides powerful communications tools to enable home and remote workers to be just as accessible and responsive as employees who work in an office. Available with IP Office Preferred Edition and Advanced Edition, Teleworker allows small businesses to expand their labor pool by enabling people to work remotely yet retain the full array of office phone capabilities. Using a high speed Internet connection at their home and VPN connection back to the office, remote workers remain an integral part of the company. They become a seamless extension of the main office, making it easy for customers and colleagues to reach them. Calls flow through the network, reducing costs and eliminating variable phone expenses. Businesses that understand how communications can enhance highly personalized customer service with speed and efficiency will appreciate the powerful information IP Office Customer Service applications for Agents and Supervisors can deliver. Valuable data in customer calls can help improve the interaction experience to deliver greater revenue and loyal customers. Available with IP Office Advanced Edition, Customer Service for Agents and Supervisors provides a wealth of information through intuitive, easy-to-use interfaces and tools. Customer Service Agents need to be knowledgeable about the products or services they support, as well as able to quickly respond to customers. To that end, agents can quickly log into a group to assist should there be an influx of calls into that group or if another agent is unavailable. They can also receive information such as the number of calls on hold, in progress, lost, and number of agents logged in and logged out. If no calls are waiting to be answered, the customer service agent can spend more time with the current caller, increasing revenue, loyalty, and customer satisfaction. To understand the effectiveness of IP Office Customer Service Agents, it’s necessary to track and measure their productivity. Information gained helps to identify and resolve short comings and capitalize on opportunities. 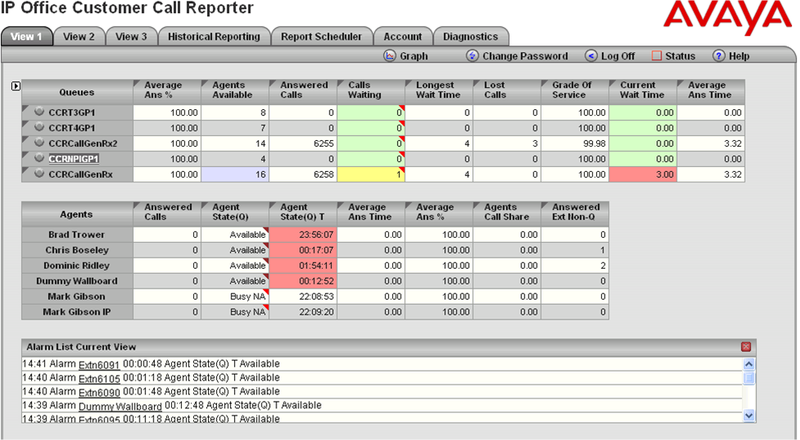 The IP Office Customer Service Supervisor solution provides this through an intuitive browser interface. With a globally dispersed workforce, it can cost a great deal of time and money to hold face-to-face meetings. Fortunately, video conferencing has made it possible for people to do just that without being in the same physical location. Avaya IP Office provides small-to-midsize businesses with the opportunity to experience advanced real-time collaboration with video conferencing. Right out of the box, IP Office delivers simple-to-use, yet powerful video solutions. Two popular IP Office user applications—the Power User and Teleworker solutions—come with high definition-quality video softphones included, delivering rich video collaboration for up to six endpoints. Video is available for Windows-based PCs and iPad tablets. IP Office integrates the powerful voice and video collaboration capabilities offered through the Avaya Flare® Experience. Included with the IP Office Power User and Teleworker applications, users simply download the free Avaya Flare® app to their device, and on-the-go video collaboration is a reality. RadVision Scopia® provides the highest quality of video conferencing offered by Avaya. It is a standards-based solution that allows users on other devices (using IP Office Video Softphone or Avaya Flare® Experience) to communicate with users on Scopia®. The Scopia® Desktop Solution enables video collaborations on multiple devices, including Macs, Windows PCs, iPads, iPhones, and Android devices. Communicate internally, or invite partners or customers to safely and securely participate in a video conference. Business success can be highly dependent on the ability of employees to communicate effectively with one another and with customers. When unforeseen issues arise that disrupt the flow of business communications, support that is easily accessible, highly efficient, and delivered by properly qualified resources is crucial to already have in place. To meet those exact needs and provide peace of mind, IP Office Support Services are available in 8x5x5 and 24×7 options. To simplify budgeting and billing, one-, three-, and five-year prepaid contract services can be selected. IP Office applications can be securely managed remotely so that support is provided quickly and easily without the need for an onsite visit by a technician. All Avaya 1400 Series Digital Deskphones for IP Office are equipped with fixed feature keys for common telephone tasks, including conference, transfer, drop, hold, and mute. The following chart is an overview of the differences between the three phones. *Button expansion modules can provide additional lines for calls bridged from one or more extensions, abbreviated dialing buttons, and/or buttons to access additional switch features such as call forwarding. 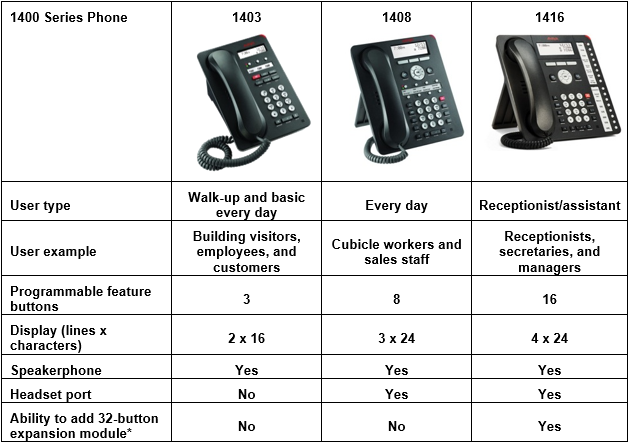 All Avaya 1600 Series IP Telephones for IP Office are part of the Avaya one-X® Deskphone Value Edition. Each also has an Ethernet switch port for small data file transfers. The following chart is an overview of the differences between the three phones. Avaya one-X® Deskphone is a family of next-generation IP telephones that deliver a new communications experience to drive increased productivity. The phones feature an intuitive user interface that helps make employees proficient in performing routine telephone tasks such as setting up a conference call or completing a transfer. They also feature brilliant audio quality, as well as support for voice commands and the ability to handle a user’s personal contacts stored on the phone or on a USB memory stick. Avaya 9600 Series Deskphones are built with future growth and enhancements in mind, with many modular add-ons that can be added as they are needed; protecting investments and leading to improved total cost of ownership. Avaya DECT R4 IP Wireless Telephones deliver the productivity-boosting benefits of IP and wireless communications across multiple offices in a convenient lightweight handset. They provide businesses a highly functional wireless solution with the ability to scale to support up to 384 handsets and 128 base stations in IP Office. Base stations can be any mix of IP and ISDN base stations (with the use of an IP DECT Gateway). This system also supports users in different offices that are connected via a WAN. Each handset on the DECT R4 network connects wirelessly using the DECT standard. 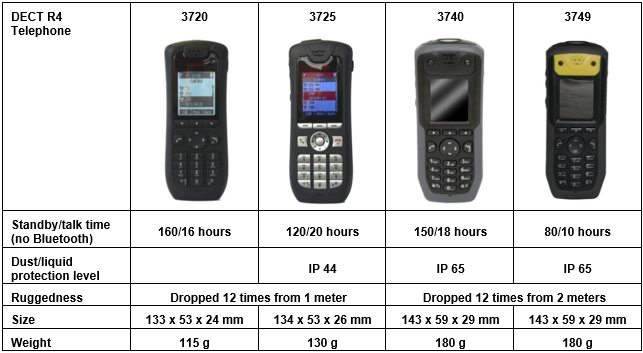 The connections between the base station, IP Office, and the handsets provide both reliability and security. 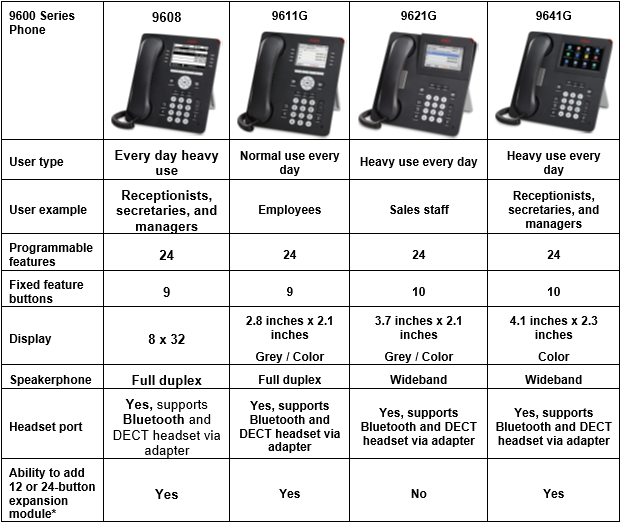 DECT R4 series IP wireless telephones (3720/3740 and 3725/3749) provide extended mobility both in single site and multiple site environments in a convenient lightweight handset. All have built-in speakerphone, backlit display, and are headset compatible. The 3725/3749 handsets have a backlit colour display and support a variety of Bluetooth headsets. The following chart is an overview of the differences between the four phones. The Avaya D100 SIP DECT system is a low cost, easy-to-use, feature-rich wireless solution. It integrates with IP Office to provide full access to system features. Utilizing next-generation digital wireless technology (DECT 6.0), this wireless telephone system offers crystal-clear, high quality voice communication. It is also expandable in capacity, providing support for up to 32 phones. 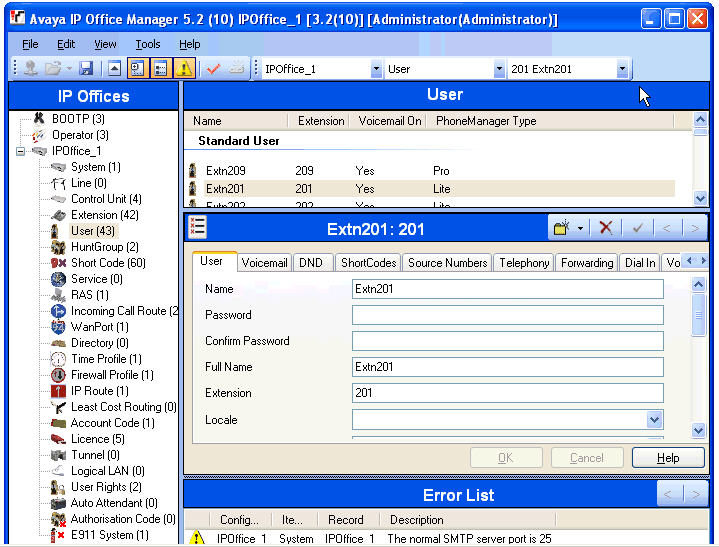 The system is entirely managed through IP Office Manager software. No additional configuration interface is needed for a plug-n-play installation. It supports advanced IP Office features, including busy lamp field functionality, message waiting indicator, programmable buttons, emergency call, and hot-desking. The radio coverage for the D100 base station is 100-350 ft indoor and 700 ft in an open field. Coverage can be expanded by adding up to five repeaters. This flexible expansion makes the D100 cost effective for small installations, while at the same time providing the capability for seamless telephony in larger areas. 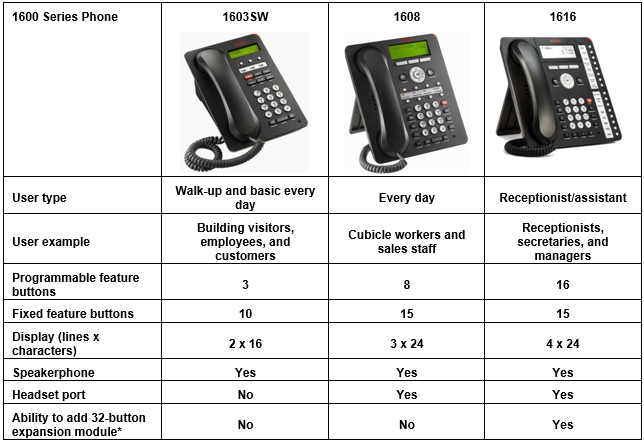 The D160 Handset allows easy access to IP Office features with a 2 x 24 display, 4 soft keys and 8 function keys. The battery capacity allows for 16 hours of talk time and 7 days of standby time. Avaya IP Wireless Solutions offer advanced VoIP clients for wireless networks. By carrying both voice and data traffic along the same network, your business saves costs while simplifying the management of the system. Users have a choice of an executive or rugged workplace telephone with all the productivity benefits of their desk telephones. Both phones have speakerphone capabilities and a headset jack. A multitude of accessories are available, including a dual charger, a quick charger, a belt clip, a nylon pouch, a carrying case with lanyard, a hands-free pouch, a noise cancelling headset, and an over-the-ear headset. 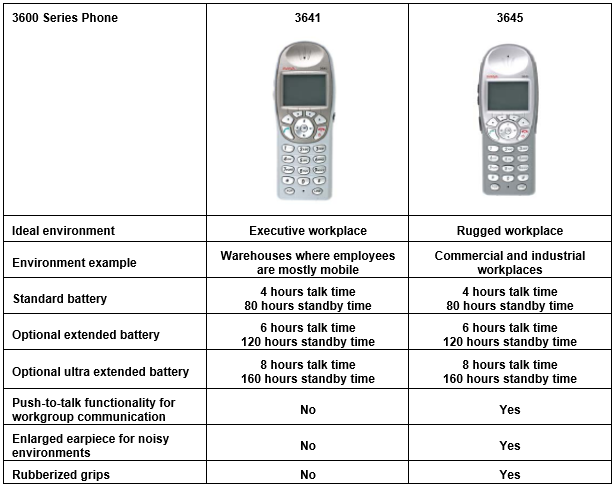 The following chart is an overview of the differences between the two phones. When employees need the ability to engage in quick, easy and spontaneous collaboration, there is nothing more effective than a conference call. A single call shared with multiple users lowers your carbon footprint and makes better use of individual schedules. They are proven money-savers; in many cases paying for themselves in the first meeting alone. 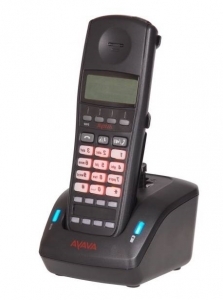 Avaya B100 Series Conference Phones for IP Office are an ideal way to leverage the built-in Avaya IP Office conference bridge, deliver enhanced audio quality, and include an array of features that simplify setting up, managing, and participating in conference calls. · Superb sound quality using Avaya OmniSound® audio technology to deliver crystal-clear voice transmission. A built-in, adjustable equalizer gets the sound levels just right. An Omni-directional microphone and three speakers add to the optimal audio performance. · Ready out-of-the-box for standard-size rooms (up to 300 square feet.). Adding an expansion microphone more than doubles the voice pickup range. 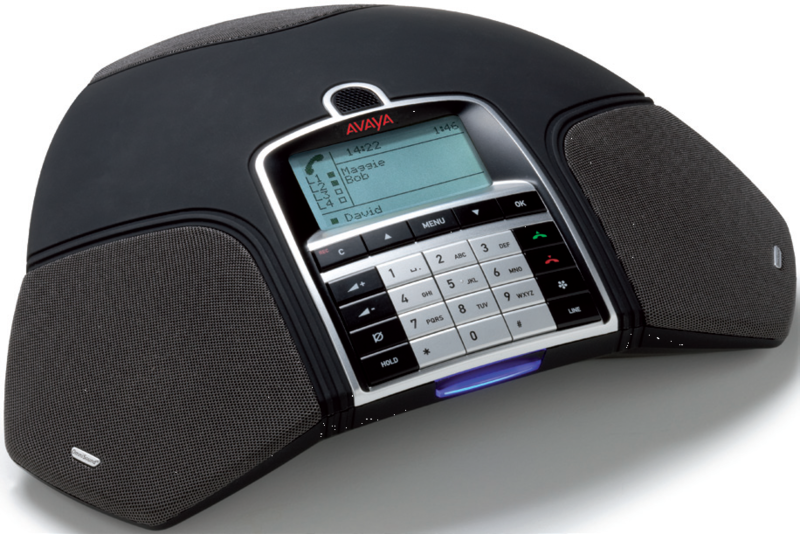 For a wider audience, connect Avaya B100 Conference Phones to a public address system. · Easy meeting set-up using the conference guide to call pre-programmed groups. Create a phone book with the user profile feature (up to 1,000 contacts per profile). Import and export contacts via the web interface. · Connectivity choices as participants can connect computers for VoIP calls, mobile phones, in-building wireless phones, and regular desk phones directly to the conference phone. · Capturing entire meetings as audio files on the in-phone SD card and/or use the conference phones as dictation devices. 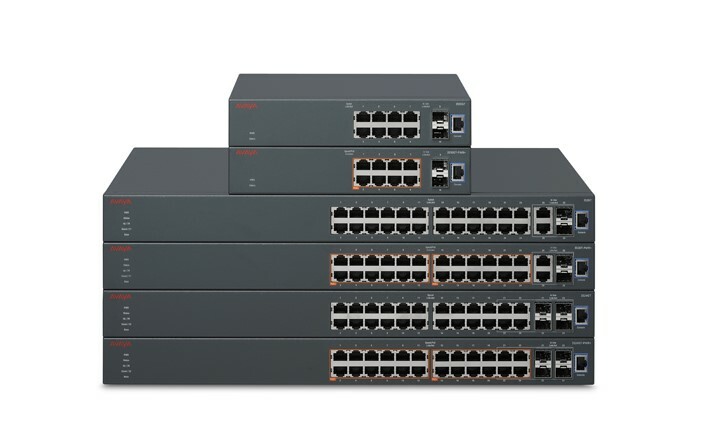 The Avaya Ethernet Routing Switch 3500 is a series of high-performance Ethernet switches for small to medium enterprises, branches, and open environments outside of the wiring closet. 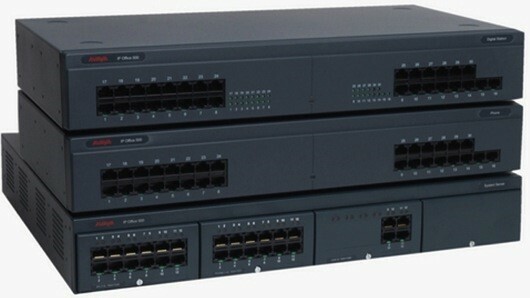 A low-cost feature- rich solution, the Ethernet Routing Switch 3500 is comprised of six Ethernet switching products, including 24-port 10/100BASE-TX model variants and 10 and 24-port 10/100/1000BaseT model variants. Models that operate in fanless mode and models that support IEEE 802.3af PoE+ are also available. For small and medium enterprises typically with 100 users or less, these switches are reliable and cost-effective to provide converged services within single or multiple sites. It also suits medium to large companies looking for a compact switch to provide connectivity within remote offices. · Fast Ethernet and Gigabit Ethernet connectivity for small locations at cost-effective price points. · Three fanless models provide quiet operation in open areas such as classrooms, boardrooms, and retail shops. · Over 100 enterprise-class features. · Simplified operations, including one minute plug-and-play capabilities for IP phones, automatic QoS provisioning, and intuitive management options. · Pay-as-you-grow scaling. The 24-port models support Avaya stackable chassis architecture that enables scaling by simply adding modules. The switch can scale up to 80 gigabits per second of virtual backplane capacity in a stack of 8 units. 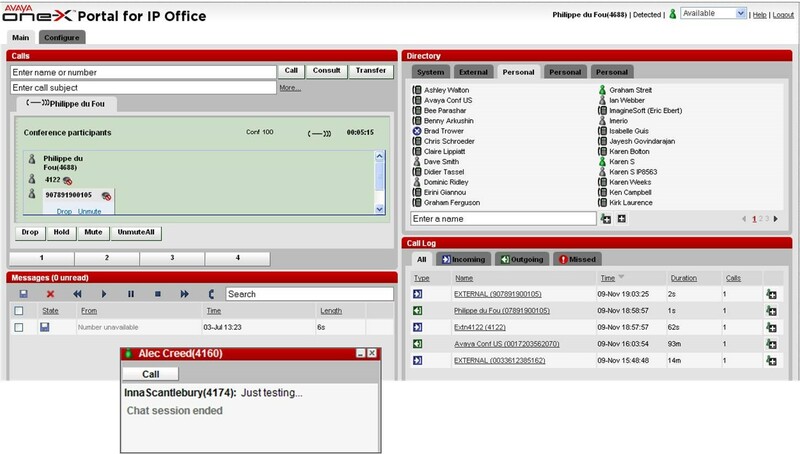 · Complements Avaya IP Office solutions with integrated plug-and-play, auto-detect, and command line interface script features. Many smaller environments have limited staff; therefore, equipment purchased to run in these locations must be simple to install, manage, and operate. This switch is well suited for these environments. When deployed in conjunction with an Avaya IP Office system, the Ethernet Routing Switch 3500 can offer increased operational simplicity over third-party switching solutions through features that simplify both the initial deployment as well as ongoing adds, moves, and changes. To simplify converged deployments for small to medium enterprises and branch offices, Avaya has validated interoperability between the Ethernet Routing Switch 3500 and the IP Office system. This enables the two products when deployed together to work seamlessly; eliminating the complexities associated with having to provision, manage, and troubleshoot a third-party switch with the Avaya voice/unified communications infrastructure. Avaya has had an ISO 14001-based EH&S Management System for its facilities and services since its inception in 2001, with EH&S committees to drive continued improvement deployed at most locations with greater than 50 employees. In addition, Avaya has an ISO 14001 Environmental Management System for its Design for Environment process. Since 2002, Avaya has realized a 40% efficiency gain in our terminals. When Avaya Gigabit IP Phones are paired with the Avaya 4500 Ethernet Routing Switch series, a reduction of up to 76% in terminal power consumption is achieved. Avaya virtualization technology reduces energy consumption by decreasing the requirement for physical servers when running multiple applications. Avaya terminals are IEEE class 2 and require less power to operate than many of our competitors’ products. Avaya embedded servers can provide considerable power savings when compared with OEM servers for low-end applications. The power consumption of embedded IP media processors has been reduced by 64%. The power consumption for conferencing bridges has been reduced by 84%, and their footprints have been reduced dramatically as a result of transitioning from a hardware-based to a software-based solution. Avaya is not the only company to provide unified communications solutions for small- and mid-sized businesses. So what makes an Avaya IP Office solution the best option for you? Most cost-effective solution. As a single, stackable, and scalable product. IP Office makes it easy to start out small and expand as your business does. Start with as few as 5 users and grow to 384 users on the same system. Expand further with support for up to 1,000 users across 32 sites. Best comprehensive value. The benefits are many, including the added productivity of a 128-party built-in conferencing bridge and resiliency using software for failover instead of requiring you to buy additional hardware. The built-in hybrid flexibility doesn’t force your business into a VoIP infrastructure but rather gives you choices that can save significant expense. Whether IP, digital, analog, wireless, or SIP, IP Office can accommodate your business needs. Proven commitment to investment protection. A core Avaya philosophy is our commitment to give each business the choice of when and how to evolve to new technologies, including leveraging what you have. Whether it’s moving from a Merlin Magix, PARTNER®, Integral, BCM, or Norstar system or simply integrating with software or services you already have, Avaya is always thinking about your best interests and bottom line results. Avaya is a trusted world leader in enterprise communications and services, combining the vigour of a new business with the resources and stability of a company that has more than a century of experience. Through our applications, systems, and services, we have achieved the worldwide #1 position for IP-telephony, multimedia-contact centres, voice messaging, unified communication, and #1 position in PBX maintenance services in the US. More than 900,000 Small and Medium Businesses, 90% of the FORTUNE 500®, and multiple national governments across the globe trust Avaya with their communications to support profitable relationships with their customers, suppliers, partners, shareholders, and employees. Avaya Labs continues to be a major influence with 3,000 professionals in 20 countries; Avaya has over 5,500 patents and patents pending worldwide. Joining the long list of awards that highlight Avaya achievements for the small and mid-sized business, the most recent is October, 2011, when Frost & Sullivan, Growth Partnership Company, and an independent panel of judges selected Avaya IP Office as the ‘European Enterprise Communications Product of the Year 2011’ based on value for money, features and benefits, go-to-market strategy, market potential, and customer adoption.